Industry's most powerful, compact COTS Mission Computer weighs only 1,5 LB. Yet features a 4-core 64-bit ARMV8 Processor, 256-core GPU and comprehensive base I/O (including Ethernet, Serial, USB, DIO and Video Ports). 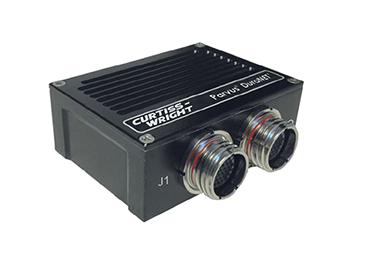 Curtiss-Wright’s Defense Solutions division today introduced the industry’s most powerful and flexible ultra-small form factor (USFF) mission computer, the new Parvus® DuraCOR® 312. The unit’s teraflop performance delivers the highest FLOPS per watt available in a rugged COTS highly scalable system architecture. It enables system designers to rapidly deploy supercomputer-class processing in a proven, high-TRL subsystem that eliminates design risk and NRE costs. Weighing approx. 1.5 lb (< 0.68 kgs) and requiring only 20 W of power, the extremely compact DuraCOR 312 measures approx. 1.4 x 5.2 x 5.4” (3.6 x 13.2 x 13.6 cm). Based on the breakthrough NVIDIA® Jetson™ Tegra® X1 (TX1) “supercomputer-on-a module,” the DuraCOR 312 uniquely combines the TX1’s quad-core 64-bit ARM® Cortex-A57 (ARMv8) processor and 256 Maxwell/CUDA-core GPU with a comprehensive set of base I/O (including Ethernet, serial, USB, DIO and video ports) as well as multiple I/O and storage expansion options that support additional vetronics/avionics interfaces. The DuraCOR 312 is ideal for use on SWaP-sensitive deployed platforms such as civil and military ground vehicles, fixed and rotary-wing aircraft, and maritime vessels, both autonomous and manned,that require in-vehicle tactical mission processing (server/computer) or C4ISR technology. It delivers high-performance embedded computing (HPEC) and general-purpose graphics processing for compute-intensive applications such as ISR/EW/targeting systems and deep learning. The DuraCOR 312 eliminates design risk with extensive environmental, power, and EMI compliance testing. It is the industry’s only NVIDIA TX1-based COTS mission computer pre-qualified for both MIL-STD and DO-160 harsh environments. The miniature rugged chassis, which features MIL-grade connectors, is designed to meet extremely demanding MIL-STD-810G, MIL-STD-461F, MIL-STD-1275D, MIL-STD-704F and RTCA/DO-160G environmental, power and EMI conditions, including high altitude, wide temperature, humidity, extreme shock and vibration and noisy electrical environments. The unit also provides an aerospace-grade power supply in a fanless IP67-rated mechanical package that operates over extended temperatures and handles harsh shock and vibration. The DuraCOR 312’s combination of removable Flash storage and multiple Mini-PCIe I/O card expansion, including internal M.2, mSATA and microSD card slots, helps to make it the most flexible USFF mission computer available. Standard system I/O interfaces include multiple Gigabit Ethernet, USB 3.0, USB 2.0, HDMI, Audio, GPIO, and serial ports. 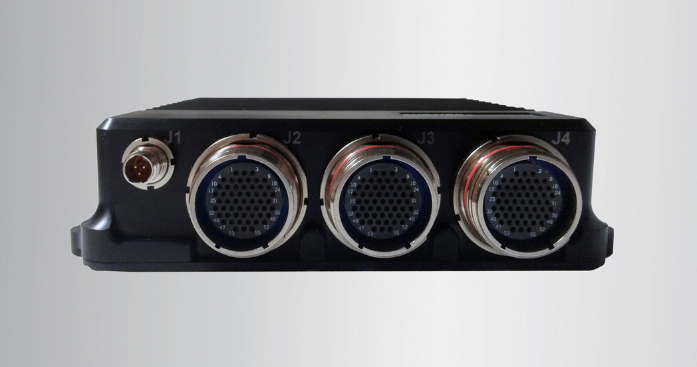 Like other Parvus DuraCOR models, the DuraCOR 312 supports an ecosystem of rugged COTS Mini-PCIe modules (including MIL-STD-1553, ARINC 429, and CANbus avionics databus interfaces). Optional removable 2.5” SATA SSD storage supports high capacity storage and information assurance requirements. If required, Curtiss-Wright’s responsive, cost-competitive application engineering services deliver Modified COTS (MCOTS) variants quickly and without a traditional NRE fee. Initial software support includes pre-loaded NVIDIA Linux® for Tegra (L4T) based on Ubuntu, which supports common APIs and NVIDIA development tool chain for Deep AI learning. The unit’s NVIDIA Maxwell GPU architecture supports NVIDIA CUDA 7.0, OpenGL® 4.5, and OpenGL ES 3.1. The DuraCOR 312 complements Curtiss-Wright’s previously announced DuraCOR 310 and DuraCOR 311 mission computers and the DuraNET 20-11 miniature Ethernet Switch.